The Finnish yacht builder Nautor’s Swan has recently launched a new sailing superyacht: the 30-metre Swan 98. Designed by Germán Frers, Swan 98 is set to redefine high-performance cruising by delivering unrivalled performance, comfort, safety and reliability. With more and more owners choosing yachts around the 30-metre mark, the new Swan 98 is expected to prove a popular new addition to the Swan range. The elegance and style of Frers’ design have been made real in Nautor’s Swan’s state-of-the-art superyacht facility in Pietarsaari, Finland, using the finest materials, cutting-edge build techniques, and the craftsmanship for which Nautor’s Swan is renowned the world over. As for the yacht’s hull design, it has been conceived for stability, high-performance sailing and comfort. The standard Swan 98 has a comprehensive specification but there is an extensive list of options that means no two Swan 98s will be the same, each is a semi-custom superyacht reflecting her owner’s unique style. 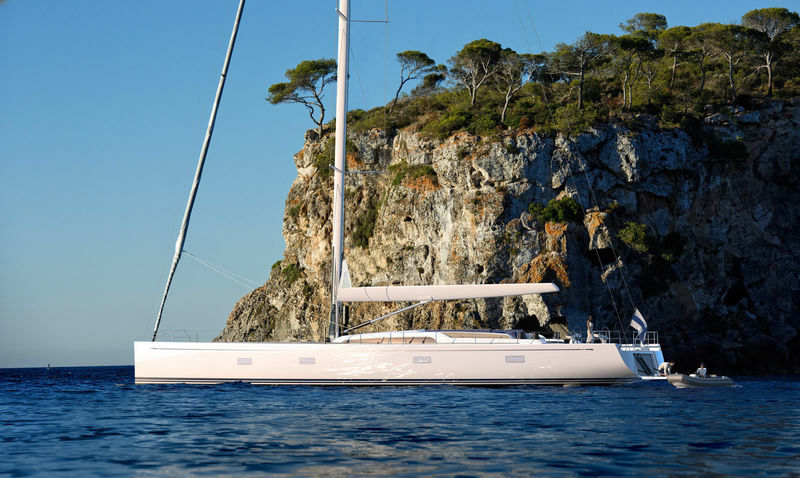 Chief among these is the option of a telescopic keel, which, together with the standard twin rudders, reduces draught from 4.9 to 3.2 metres, allowing for sailing in shallow waters or even to difficult-to-reach destinations, without compromising windward performance. The design has been optimised for complete safety and reliability and has the advantage in not intruding into the interior. The deck combines the superyacht experience of both Nautor’s Swan and Germán Frers, offering dual-purpose spaces for both efficient sailing and relaxing. The generous open foredeck provides the perfect sun deck while at anchor and space for sail handling while cruising. The yacht’s interior was designed by the highly acclaimed Genovese architect Misa Poggi. There are two interior layouts available (Owner Aft and Owner Forward) where she has developed four tasteful themes specifically for the Swan 98 project, and each features the finest Italian textiles and leathers to create an ambience of comfort and luxury, whether relaxing alone or entertaining guests. “Misa Poggi has surpassed all our expectations with our new collaboration and her designs blend fantastic usage of space, unique fabrics and soft materials and the finest selected woods, all dazzled with numerous detailing and a clear link to Nautor’s tradition in yacht interior,” said Peter Naeye, Product Line Leader of Maxi Swan Yachts at Nautor’s Swan. Launched to market, the Swan 98 is already collecting expressions of interest by possible owners. Delivery of the first model could be expected in Spring 2020.